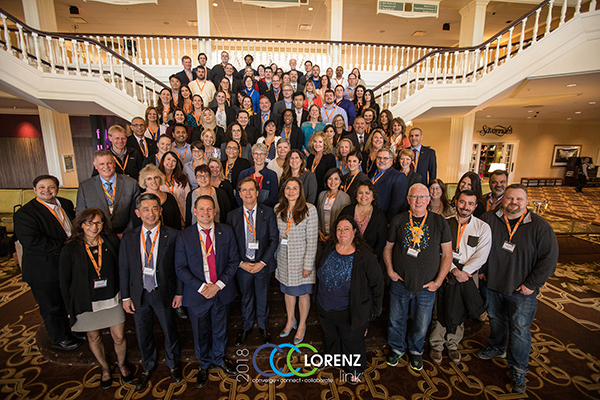 Frankfurt/Main, 3 May 2018 // LORENZlink 2018, the 2nd North American conference by LORENZ Life Sciences Group took place during April 16-17, 2018 in Nashville, Tennessee at Gaylord Opryland Resort and Convention Center. Once again, the event was sold out. Over 110 attendees from industry and regulatory health agency sectors participated in two days of presentations, tutorials and panel discussions on regulatory topics. During the keynote presentation LORENZ highlighted the need of interoperability and simplification in the eRegulatory Affairs world. These topics were often picked up by other speakers as well. For example, Sandra Krogulski from Accenture Accelerated R&D Services gave insights on RIM Technology and understanding the development of related processes while Maria Crump, Regulatory Professionals, Inc., talked about key success factors in approaching eTMF from start to finish. Teresa Martins from Bayer shared her experiences of an AdPromo Launch submitted in eCTD format and Health Canada’s Irena Pastorekova gave a valuable update on Electronic Submissions at Health Canada. A panel discussion led by Antoinette Azevedo from eSubmissionsSolutions.com broached the challenges of Content Management and Submission Publishing in the Cloud. Representatives from Veeva, Court Square Group, United Therapeutics Corporation and LORENZ joined the discussion. Already an inherent and favored part of LORENZ events, also in Nashville, table tutorials gave participants the chance to cover specific topics in smaller groups with face-to-face discussions and demonstrations on topics as varied as “Implementing RIM in Your Company”, “Regulatory Updates” and “New Hyperlinking Functionality in LORENZ docuBridge”. During the optional docuBridge training day following the conference itself, participants learned how to create a new application as well as the basics of compiling modules 1-5. Elsmari Eggers from LORENZ also taught them many tips and tricks for working with LORENZ docuBridge. The next LORENZlink conference will take place in April 2019 in New Orleans, Louisiana. The exact date will be announced in the near future on LORENZ’ website, www.lorenz.cc. LORENZ Life Sciences Group (www.lorenz.cc) has been developing and marketing software solutions for the Life Sciences market since 1989. LORENZ has an array of Regulatory Information Management solutions geared towards industry, health authorities and academia which enable enforcing compliance globally. LORENZ' tried and tested portfolio offers Product Registration/IDMP, Submission Assembly, Validation and Management, Publishing/eCTD, Regulatory Planning and Tracking products and related services. Interoperability between LORENZ products and third party solutions, as well as the ability to automate processes allow LORENZ customers to enhance operational efficiencies. With over 900 paid installations in 35 countries, LORENZ has a strong worldwide customer base.